It has been a while since we posted anything about our Home Server. From parts one through three we spec’d, built and tested a Server that would have multimedia capability via a home network and, double as a business server. We considered this a long test phase and we are at a point where we can understand and discuss some of the issues and benefits we have experienced over the last few months. If you are facing the same challenge, have a look over parts one, two and three, it will help set as context for this article. Firstly, we have installed some Noctua fans in our Server to help with some noise from the chassis. It is very quiet but now thanks to some rubber mounts we have isolated some of the vibration we have noticed on occasion. 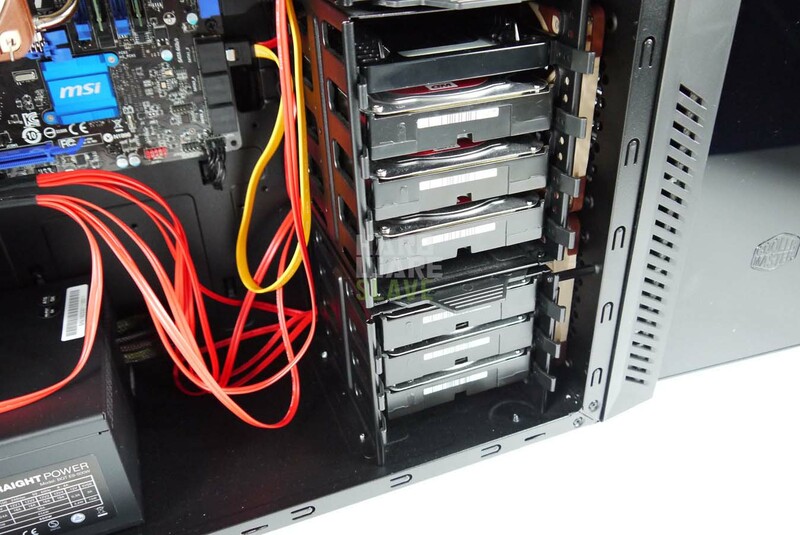 Secondly we have dropped the RAID SSD’s for the OS, we felt this was overkill. We didn’t push the performance enough to warrant RAID SSD’s for the OS. We also moved our staging/temp folders to our main array, further reducing the need for an ultra-fast OS disc configuration. Lastly we dropped Windows 8.1 as a test bed. We are die hard Windows 7 fans around here and we opted for this as a mature and very capable operating system to manage our Server. We have trimmed out programmes and features we would not use; Windows Media Player, Games and others, to reclaim some CPU and memory time, and a little space on the SSD. We initially tried Windows Server Operating Systems during a few tests when building the Server but quickly moved to Windows 7/8.1 soon after. Windows 7 is a little bloated compared to Windows Server 20XX but we are not pushed for space on our OS drive, which is now a 256 GB MX100 from Crucial. We were impressed with our results when testing the drive, and it’s the same size as the two SanDisk’s we replaced. What has stayed the same? From a hardware point of view, everything other than the parts mentioned earlier. The RAID array, discs and controller card are performing superbly. We have a GigE network in the office and manage 110Mb/s sustained file transfer over cable, the speed and quality of the connection has spoiled us a little. Burst rates are excellent and connection to our AV equipment and Apple TV and other AV equipment is trouble free. Our network has the same quality of connections for all types; Remote Desktop, file sharing and back ups etc. We are also using OneDrive to have a cloud landing pad on our Server, all connected devices short cut to this area, so only the Server needs to be online to keep our content up to date.